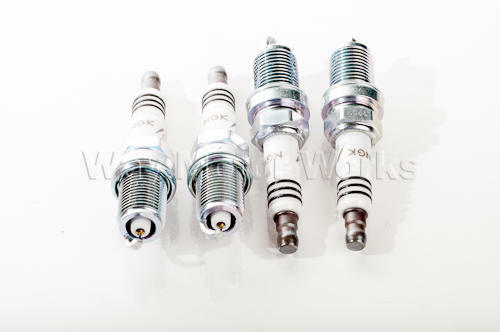 NGK Iridium Spark Plugs for 2002-2006 R50, R52, R53 MINI Cooper, Cooper S and Cabrio. WMW normally uses the Platnium plugs but due to demand we are now stocking these Iridium plugs. These NGK Iridium spark plugs have a single center electrode, with a 0.6mm laser welded iridium tip. The threads have Trivalent Metal Plating for superior anti-corrosion and anti-seizing properties. sold as a set of 4 spark plugs.